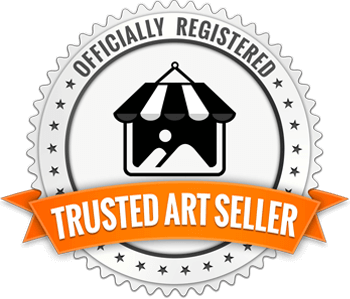 This is an Octagon shaped canvas piece with triple layers of UV Protected Art Resin. 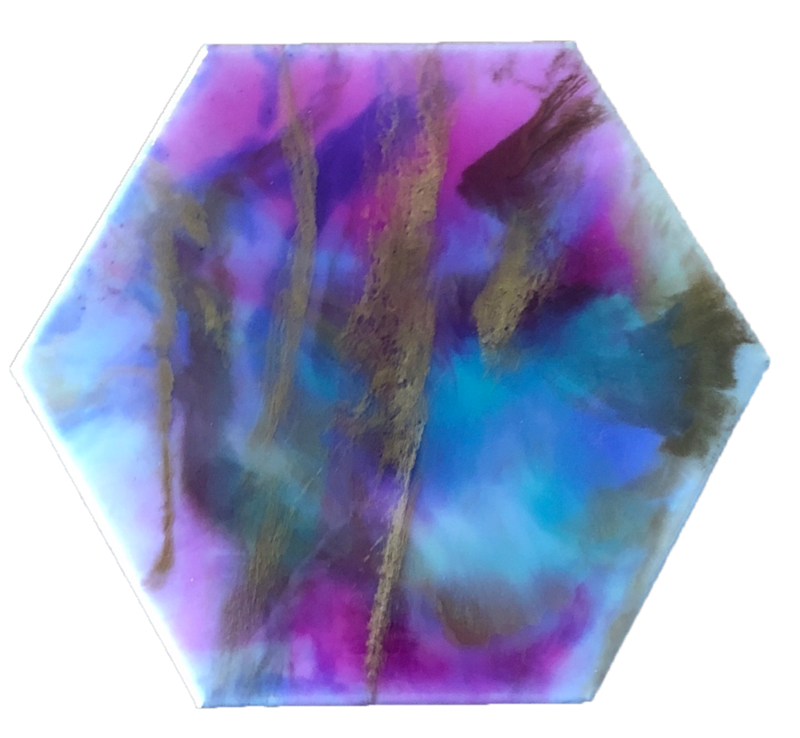 It was poured in layers of colored resin and each of the 8 sides are 8 in. 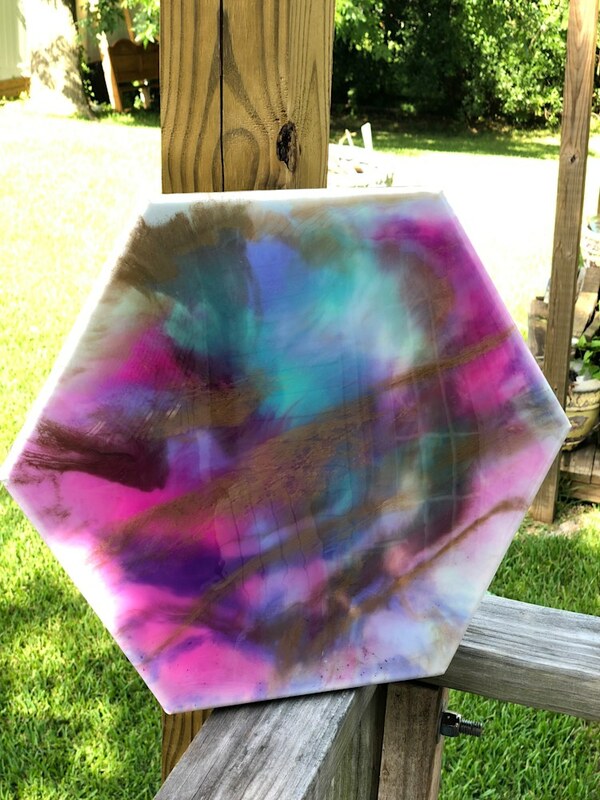 to create a 16 inch diameter piece. 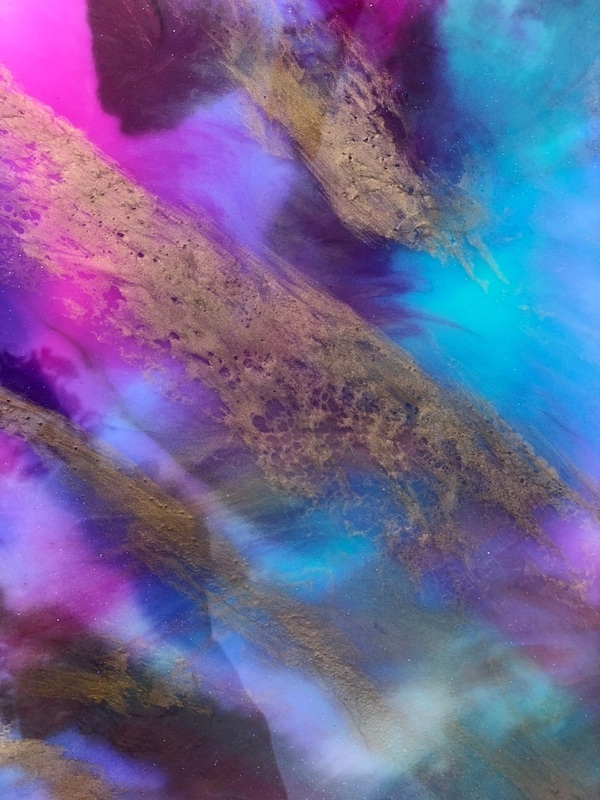 This piece was inspired by both my love of color and my bucket list to someday see the "northern lights" of Alaska. 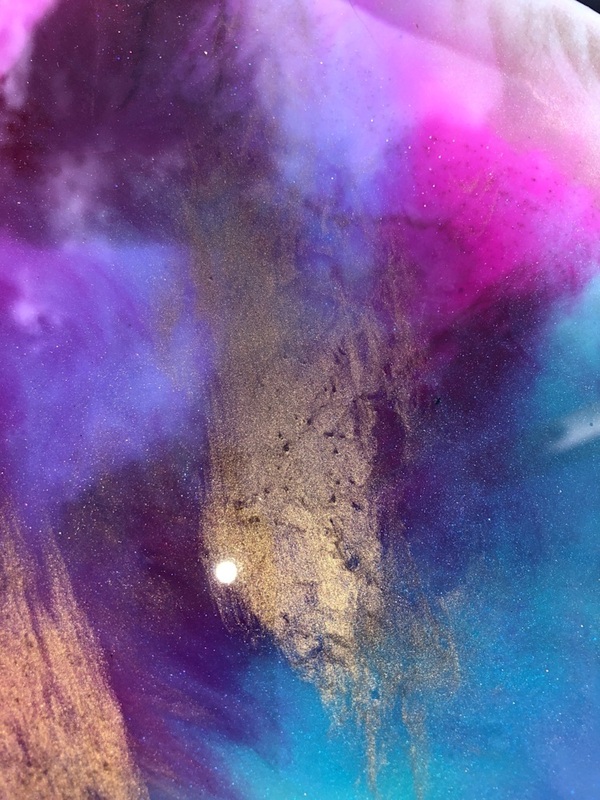 Each layer was poured with colored resin using mica pigments and cured for 72 hours before beginning the next layer. 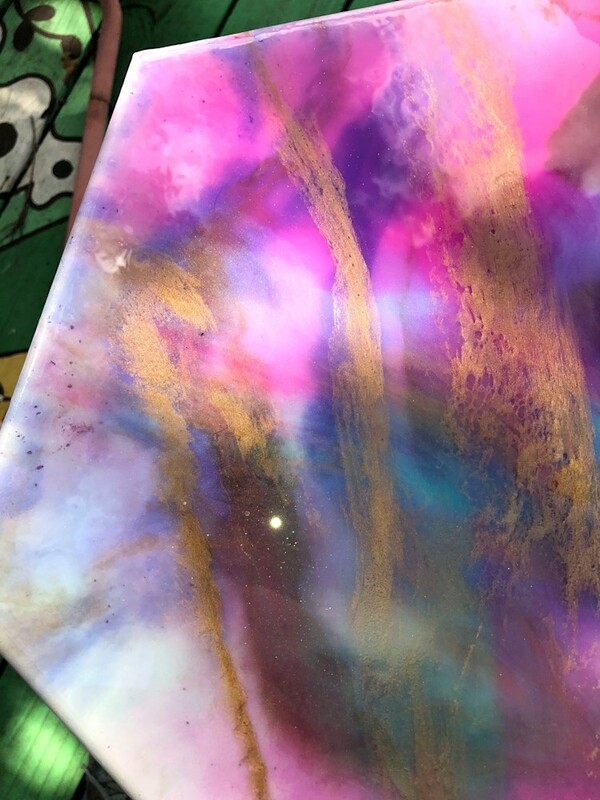 It has a ton of depth that, unfortunately, cannot be captured on film for the images in this listing but it is absolutely beautiful and has a high gloss resin finish so you will love to walk by and run your fingers across it to feel the smooth texture. Don't worry, fingerprints can easily be removed with a damp cloth. I love love love this piece. It has an aura about it that I can't get from looking at any of my other pieces.